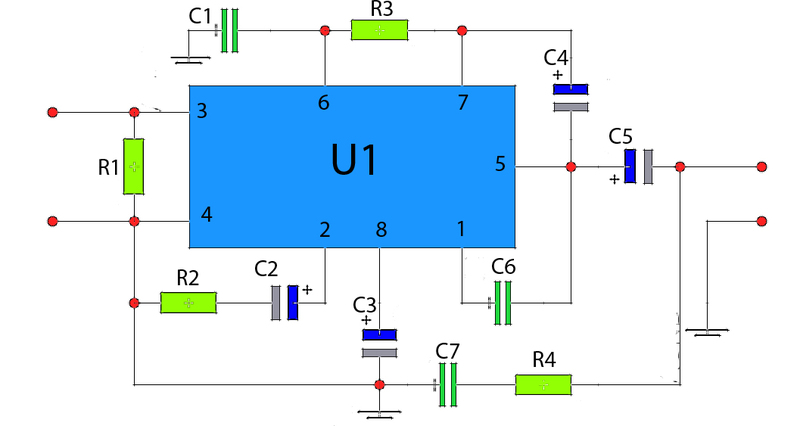 This amplifier circuit is very cheap, because not a lot of components that are required, and the voltage or amperage required is also not too large, so the transformer or power supply is also quite cheap. IC which can be used in power amplifier circuit is the KA2201, LM820M, TBA820M, U820. This amplifier output of 2 W and 4 ohm impedance, which can be applied to the speaker with 4W power, on such small speakers in front of a PC. For the required minimum input voltage of 3 volts and a maximum of 16 volts, for the recommended voltage of 12 volts.